Luke and Guy are really great characters in Abyss *They don't beat Jade in my book though XD* It was a request from a while ago, so I made it. the characters in the picture, yeah! the game in 2 player, yeah! Me as Luke and my brother as Guy, yeah?! And we had so much fun! hey, this is really good. 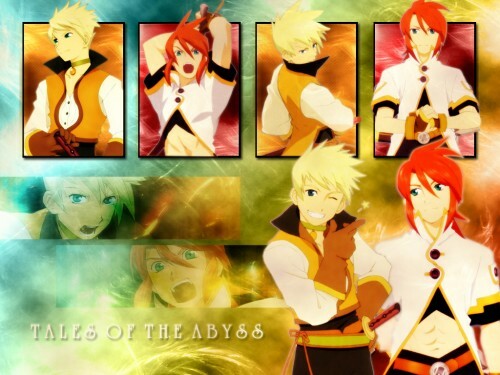 I love Tales of the Abyss. it's a great game. Wonderful wall--everything fits together so smoothly. And Guy's expression in the bottom right is just priceless. ^^ Nicely done!